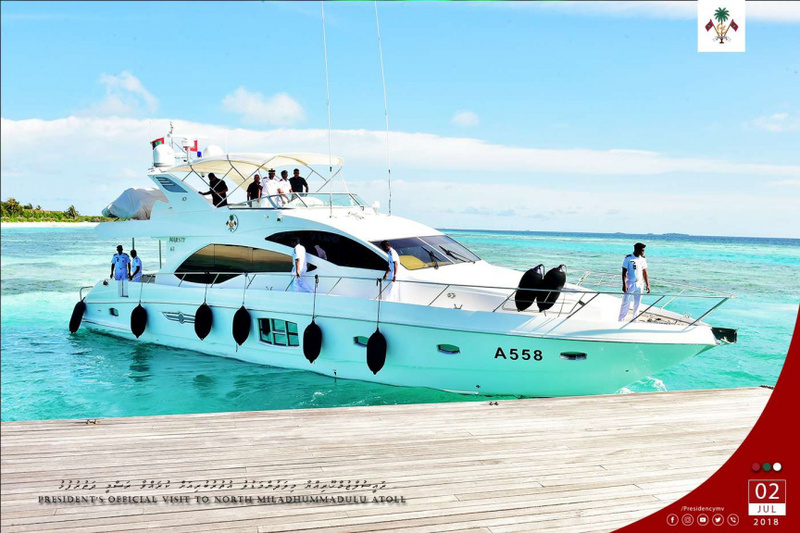 Maldivian President Abdulla Yameen Abdul Gayoom has departed on a two-day official tour of islands in Sh. Atoll. Yameen departed for Sh. Atoll this Monday morning. He is scheduled to visit Sh. Bileffahi, Sh. Kanditheemu, Sh. Funadhoo and Sh. Milandhoo. He is scheduled to arrive back in Male’ City on Tuesday.